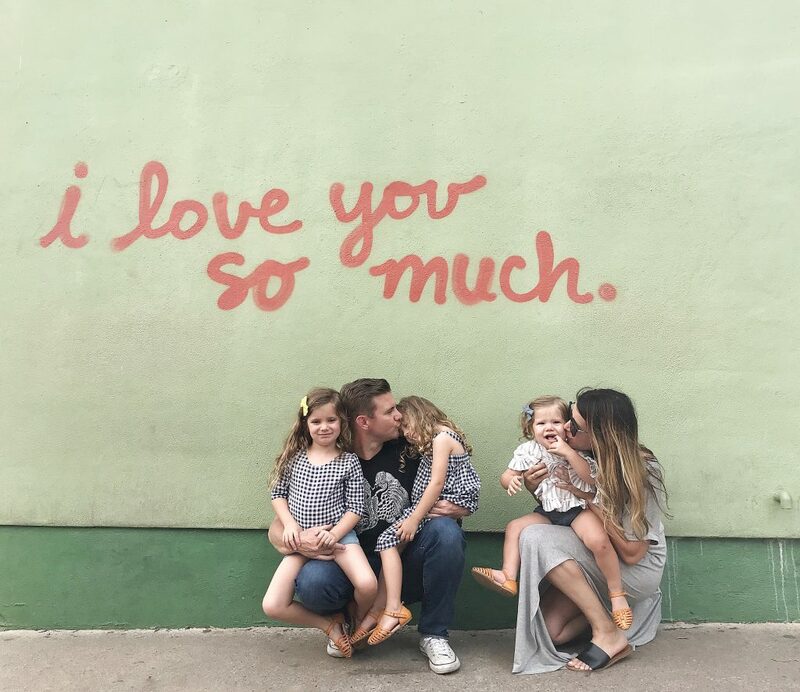 The five of us just got back from our Austin trip and that was definitely a trip to be remembered. It was an amazing 7 days filled good eats and plenty of adventures. 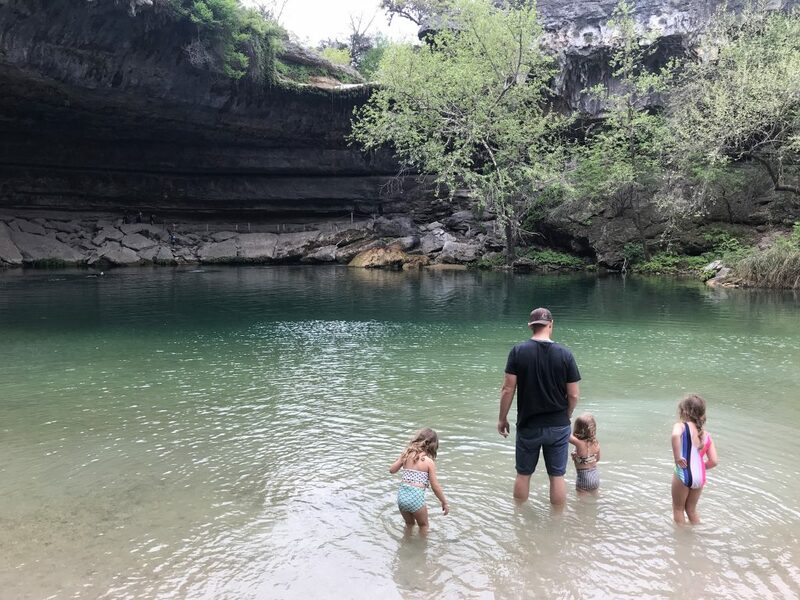 I put together this Austin family travel guide so I can remember where all the good stuff is for my next visit and more importantly for you. To make your next family trip that much easier. 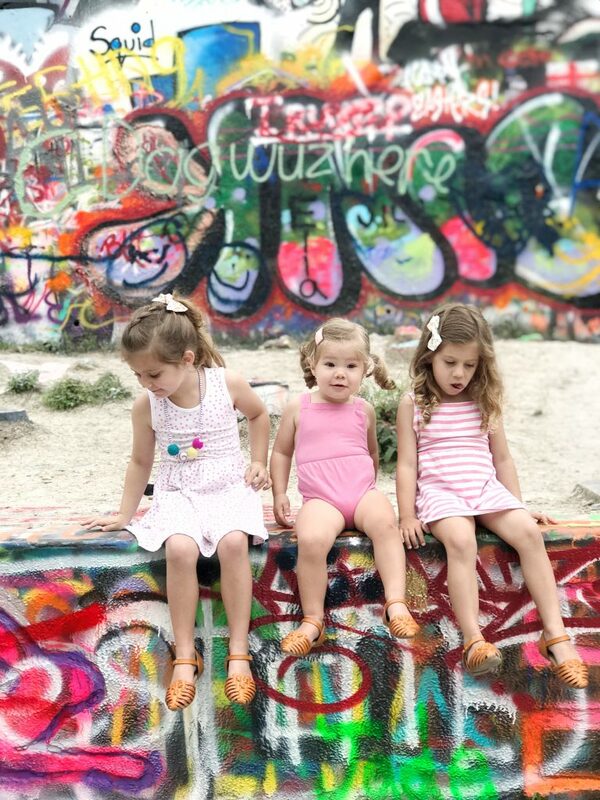 You will totally agree that visiting Austin with kids isn’t hard and actually a must. We spent most of the time in the city limits with the exception of a few day trips to Waco and San Antonio. Our days were filled with eating as many tacos as we could and trying to get in all the sites. 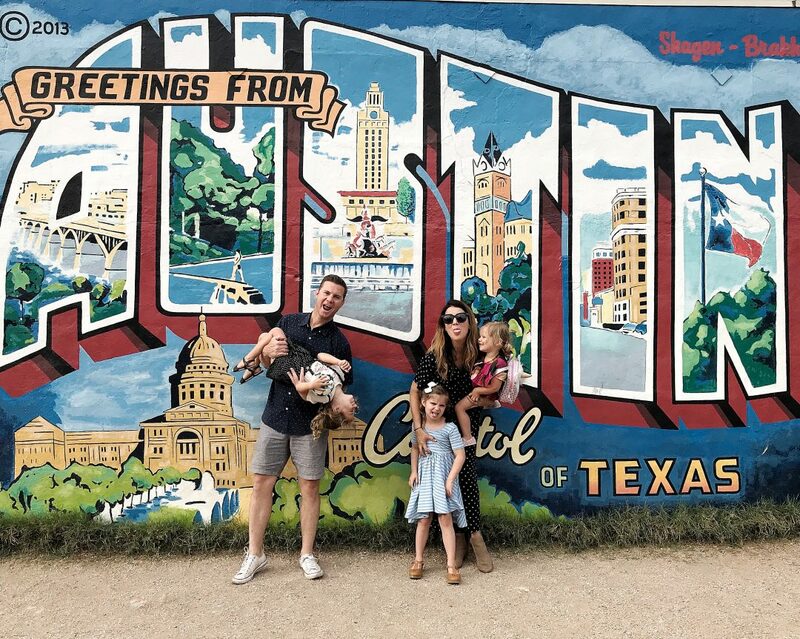 Austin totally lived up to its motto of “keep Austin weird” and its quirkiness made us fall in love with the city even more. 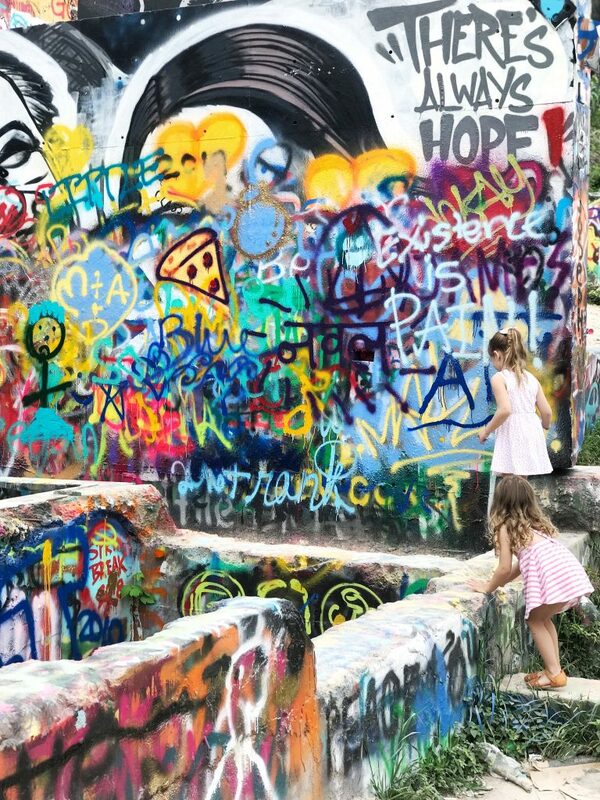 Street art all around, food truck trailer parks, lots of outdoor activities and some of the kindest people we have ever met put Austin on the top of our “must travel list”. We arrived on a Sunday morning. We actually flew into the smaller airport which made logistics kind of tricky (carrying luggage, stroller bag, and three car seats) but after a few shuttles we made it safely to our car. The drive was about 15 minutes into the city and our Airbnb was in the South Congress area which we highly suggest. Most of the restaurants you will find on my list are in this area so it was great to be just a short drive away. We felt central to everything and a great neighborhood for families. 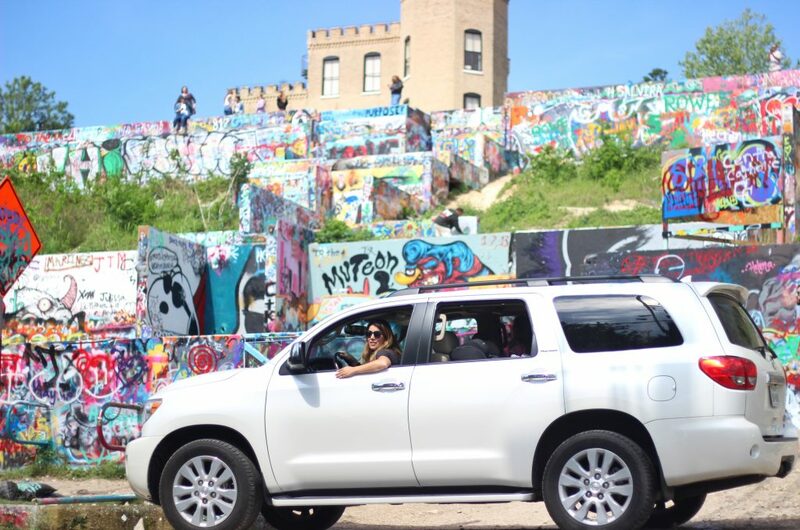 Austin is a city with lots to see and not everything is in walking distance, so a car was a must for us. We partnered with Toyota to try their 2017 Toyota Sequoia Platinum and it was a dream. Talk about space. We had three rows of seats and room for everyone to spread out. Plus enough trunk space to pack our double stroller and a couple of bags when we were headed to the pool. I was so in love with the comfortable seating and accessibility for the kids. Plus our Toyota Sequoia had all the bells and whistles including built-in navigation (which came in handy when cruising a brand new city) Blu-ray player, a great stereo system and sun roof. Our Sequoia took us all around Austin from the Capital building to the Hope Gallery to see this amazing art. There is no way we could have done it without this car! This was the perfect car for our family trip and to be honest the perfect car for families period. I get a lot of questions about car picks for large families and after driving this Sequoia I have to say this would be a great option. Thank you Toyota for letting us borrow this amazing car for the week, we fell in love with the Sequoia. During our visit the weather in Austin was all over the place. Generally April is a great month to travel to Austin, its warm but not too hot yet, with some cool evenings. Make sure you bring a jacket for yourself and the kids, we were a little surprised with how chilly it can actually get. 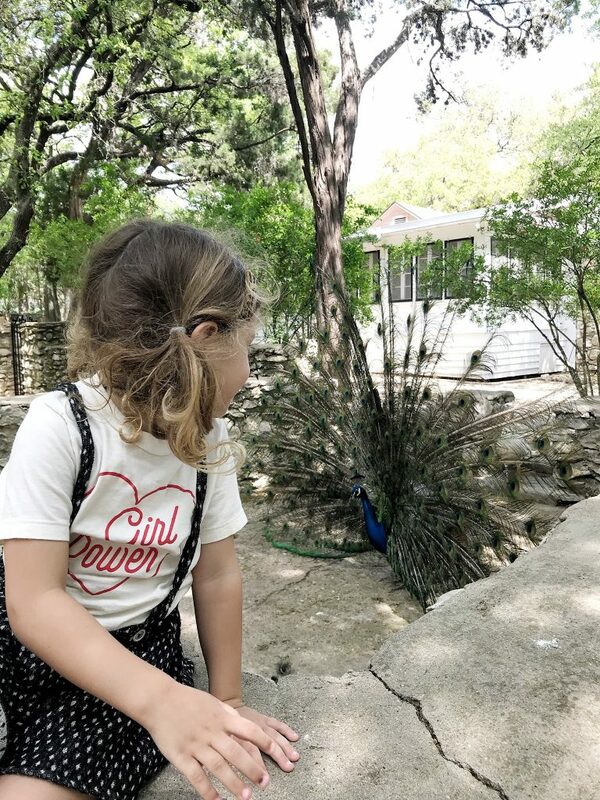 At first Scott and I were concerned that Austin wouldn’t be the most kid friendly destination for us but we were completely wrong. There is so much for kids to do and I was even surprised to see that many of the restaurants had kid play areas which made dinner time that much more enjoyable for the grownups drinking margaritas. This is a city that loves to be outside and it shows. 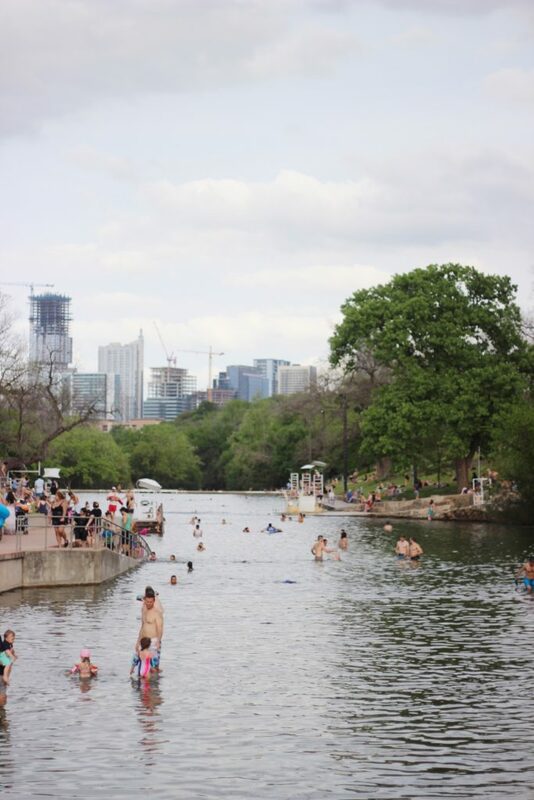 From the trail around lady bird lake to the pedestrian bridge to one of the many pools, Austin is such an active city. We were barely in our Airbnb. We jumped from sitting outside at a cute little restaurant to cooling off in a splash pad after a stroll downtown. 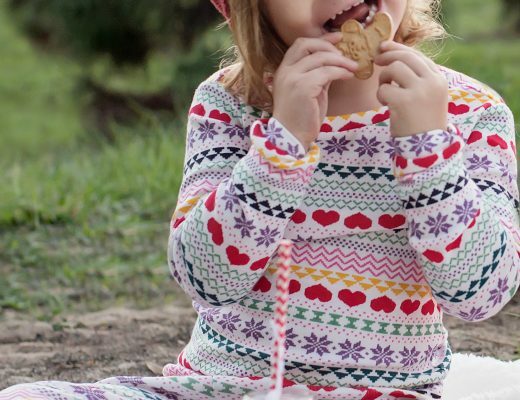 If you love to be outside then this is a family travel spot you will love. To make it easier to navigate I’ve put together a list of our favorites and divided it into categories. 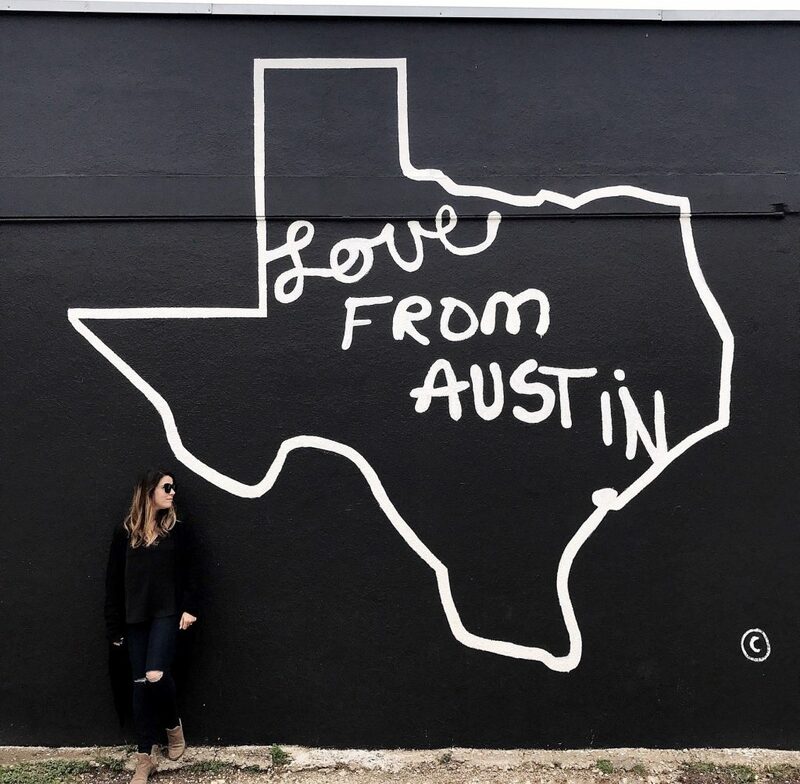 Here are some things you can’t miss on your next trip to Austin. This is the famous taco restaurant with several locations around Austin. 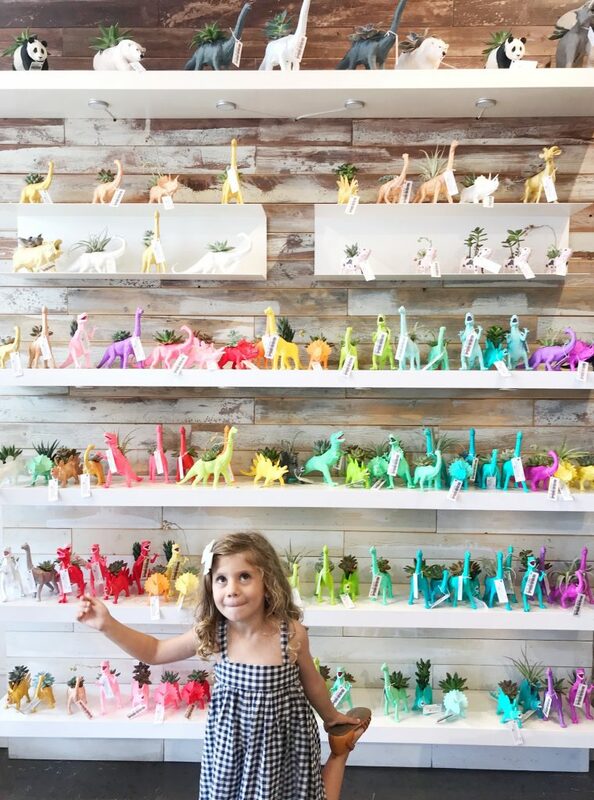 Our favorite was the location on South Congress. This is a fast dining style restaurant. The food is delicious and inexpensive. my top picks are the queso, the trailer park taco, the fried avocado, and any of their breakfast choices (hello breakfast tacos). 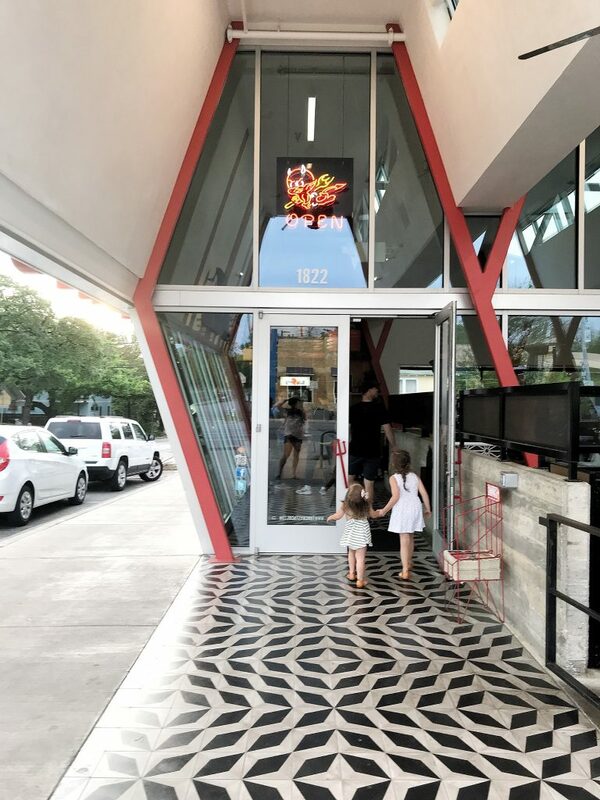 This place is a big hit with the kids and if you are looking for a quick and delicious meal this is your spot. Be prepared to wait a bit if you go on the weekends, this place is popular and even locals are flocking to get some of this deliciousness. 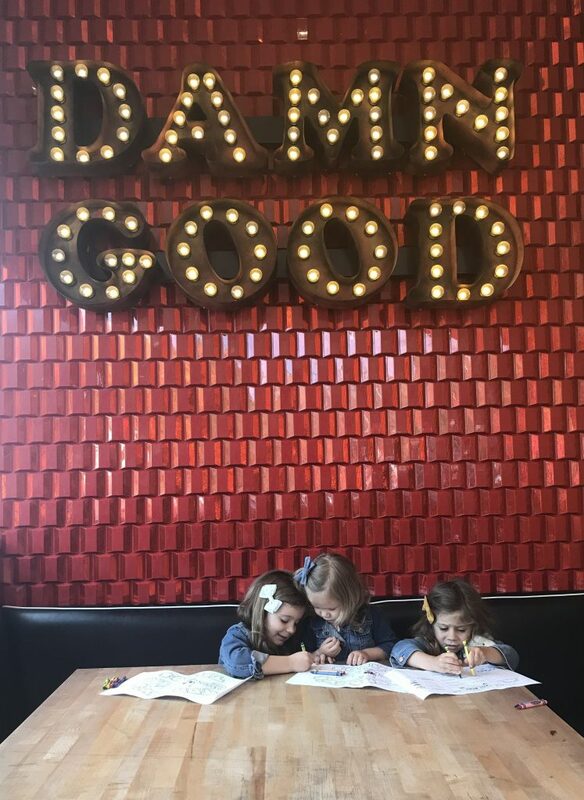 This was one of our kids favorite places to eat. We went here twice, they loved it so much. Mexican cuisine with a twist. 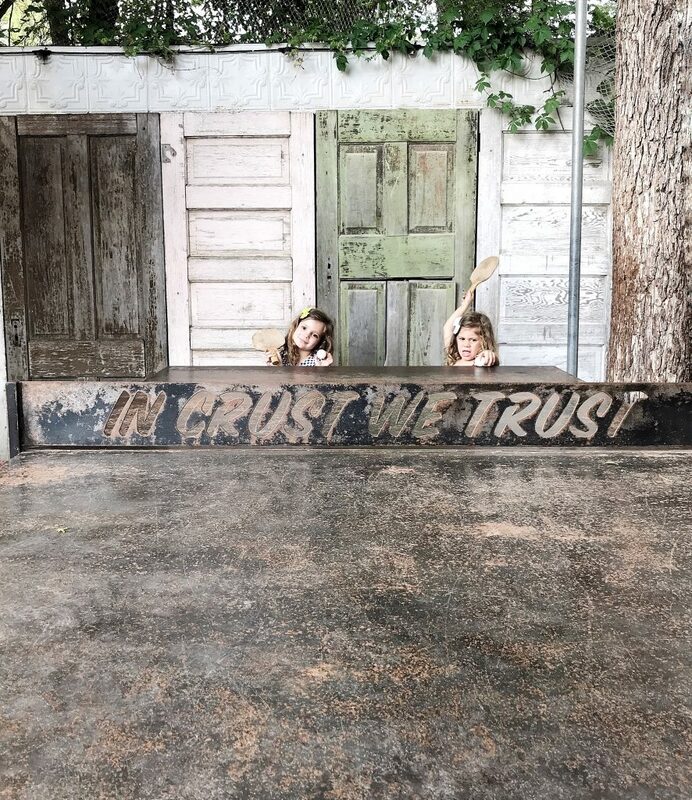 Our kids love the open air atmosphere of the south first location. it has plenty of space for them to run and play while we waited for our food. 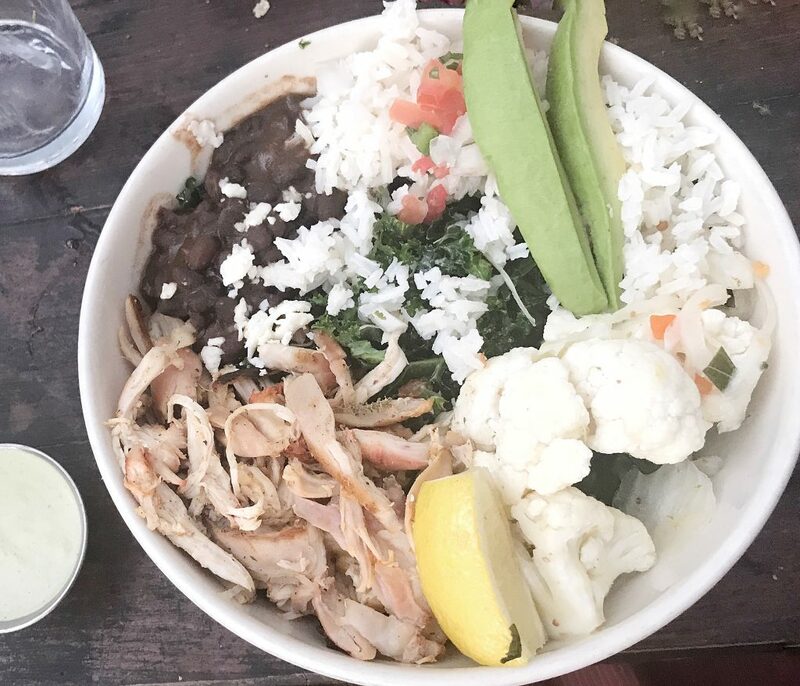 Try one of the bowls, so many delicious veggies and filled with flavor. We added the brussels sprouts to our bowl and it was probably one of our favorite things on the menu. 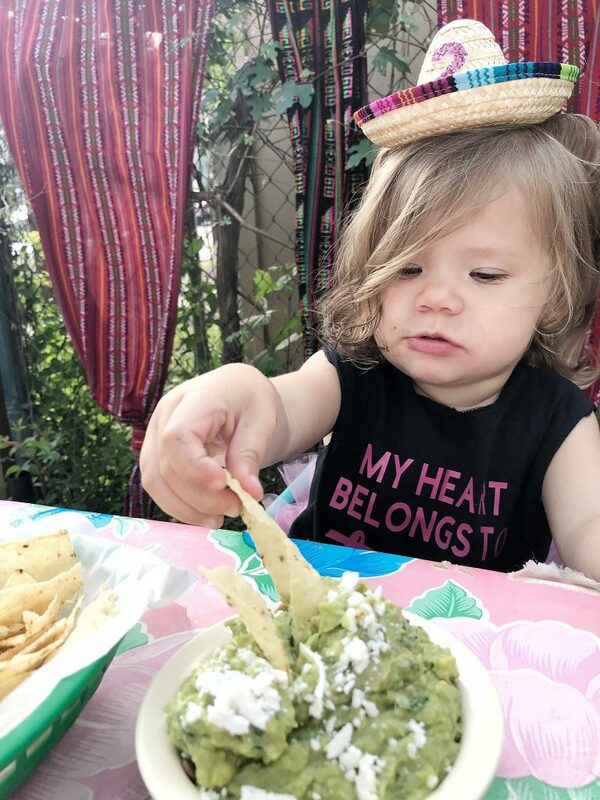 The queso is also a must, as well as the avocado margarita. This is a French Vietnamese restaurant with adorable decor and delicious food. We tried the banh mi, spring rolls and pho and it didn’t disappoint. 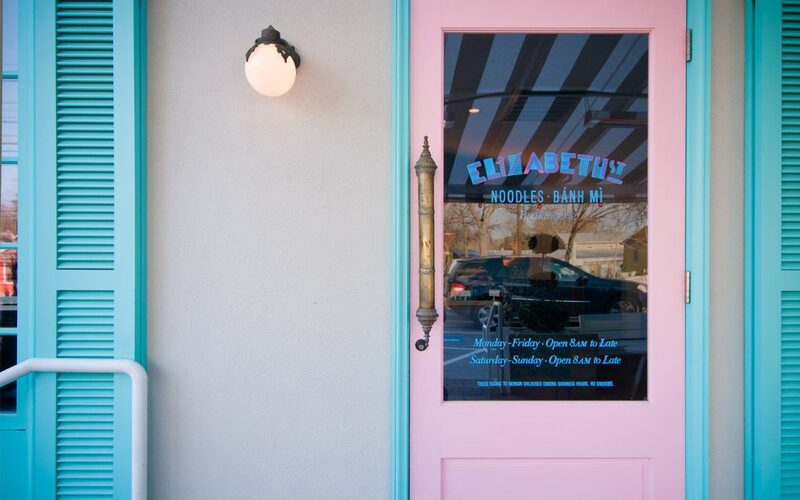 This restaurant is totally instagram worthy and you will be leaving planning your next visit to try something new off their delicious menu. This was probably my favorite restaurant of the week. Pizza is always a good choice when traveling with kids but Home Slice is one the adults can appreciate too. The outdoor patio has some games and the pizza is amazing. Plus the location on south congress is close to all the action. 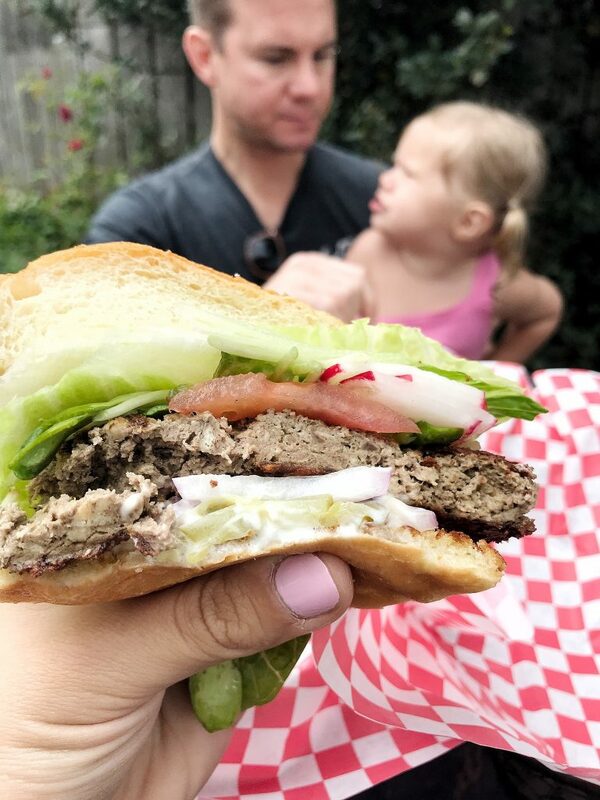 My husband is vegan and so we had to try Bouldin Creek since its won top vegan restaurant in Austin. Even if you aren’t vegan you are going to want to come here. The food was delicious and they have a pretty extensive menu for all tastes. They also serve breakfast and I saw some yummy coffee drinks coming from behind the bar as well. We accidentally stumbled upon this place when driving on South Lamar. We were in for a treat. Huge playground for the kids with a real chicken coup. The menu was pretty cool too with some interesting yet delicious choices. We had the friend okra and bean salad with one of the best veggie burgers I have ever had. Sad news is we heard this location was closing down but they do have other locations around Austin. A silver airstream on 1st street that will knock your socks off. At first I looked at the menu and it all seemed overwhleming and expensive! But when the donuts actually came out we were in shock. They were huge and topped with the most decadent desserts. I was a little skeptical because I have had some pretty phenomenal donuts in my day but these were worth writing about. More than that, these might have been my favorite donuts of all time. Even without the crazy toppings the donut itself was perfectly crisp on the outside and warm and soft on the inside (drooling yet?). I wish we had more time so I could visit this delicious piece of heaven over and over again. 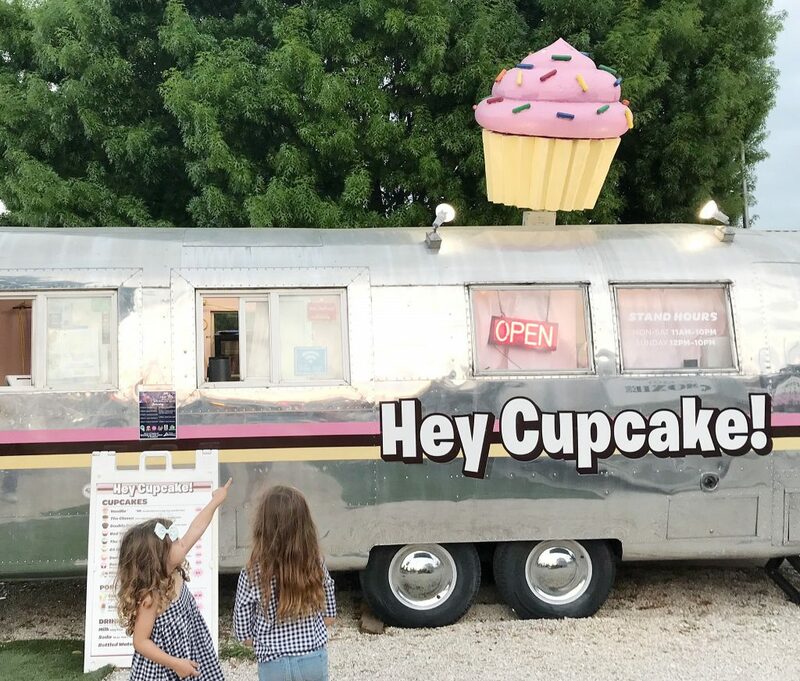 Austin loves its food trucks and you will find some the best treats in one. This time it was some really yummy cupcakes. I wish I could report on how they tasted but my girls wouldn’t even share a bite. “Try the Turbo” they told me. 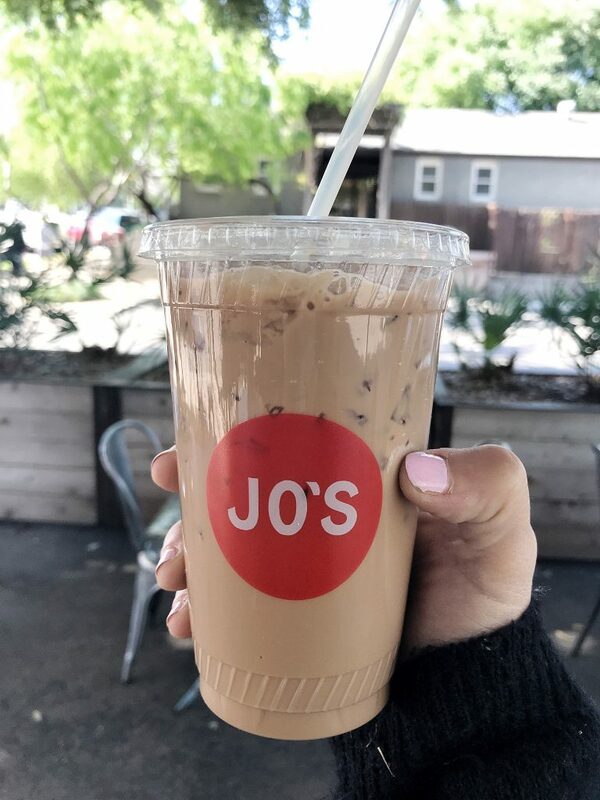 It is their signature coffee drink. I really wanted something hot this day but decided to take a chance and I was so happy I did. Smooth and creamy with a hint of sweet. I was in love. On my husbands birthday there was just one thing he wanted to do. 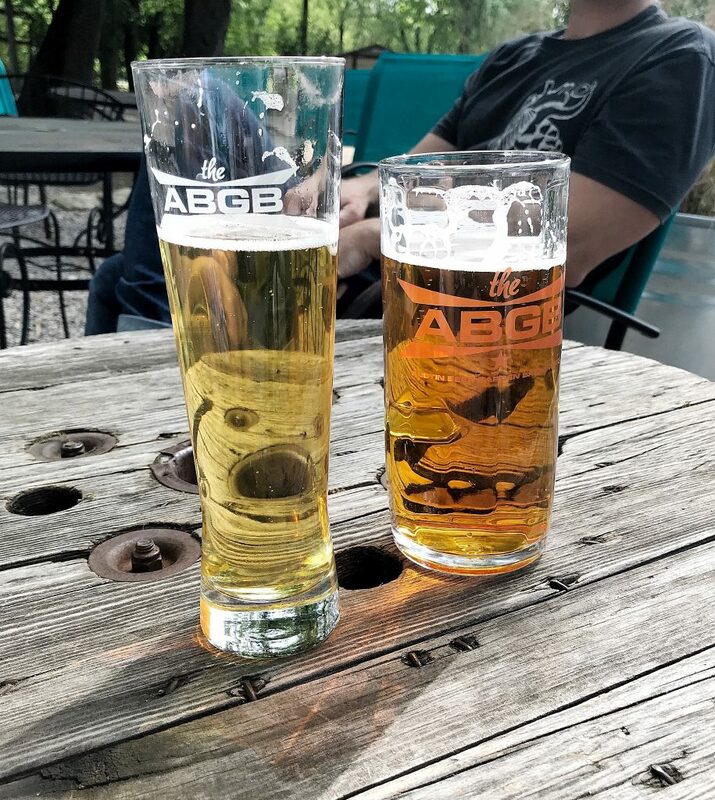 Sit outside and enjoy some good beer. 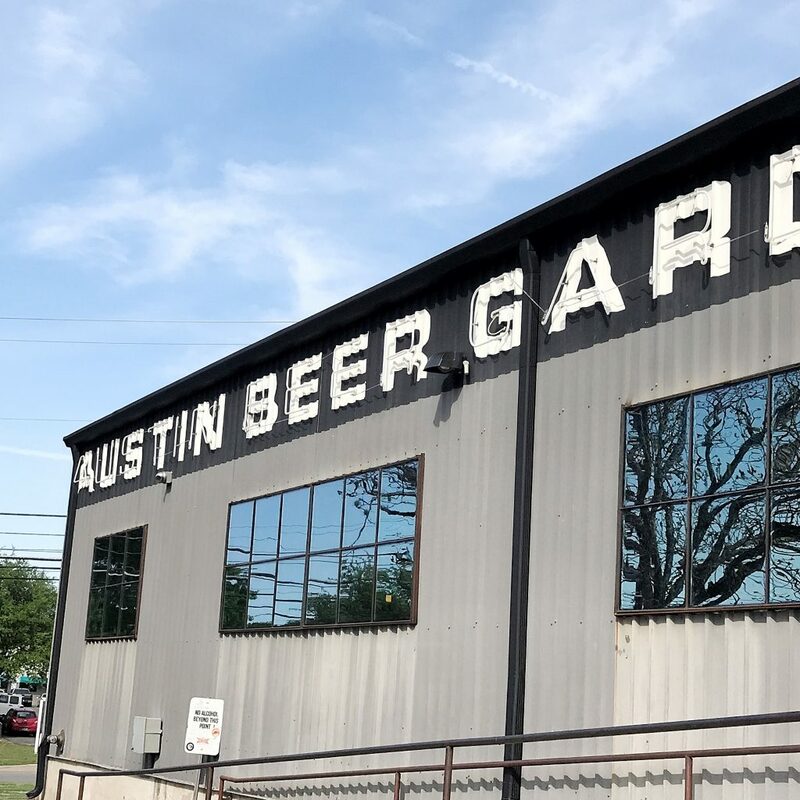 Pretty easy request considering Austin Beer Garden Brewery had a great beer selection and a cool beer garden to sit and enjoy them in. They have a pretty fancy menu and of course the perfect go to, pizza. We ventured inside where they had a cool band playing and the place filled up quickly. This is a pretty cool spot for a beautiful Austin day. We stayed in an Airbnb and we would highly suggest picking one in the south congress area. We were really close to some of the coolest restaurants and shops. If swanky is more up your alley the south congress hotel was a dream. We stopped in for a drink and I drooled over the amazing decor. 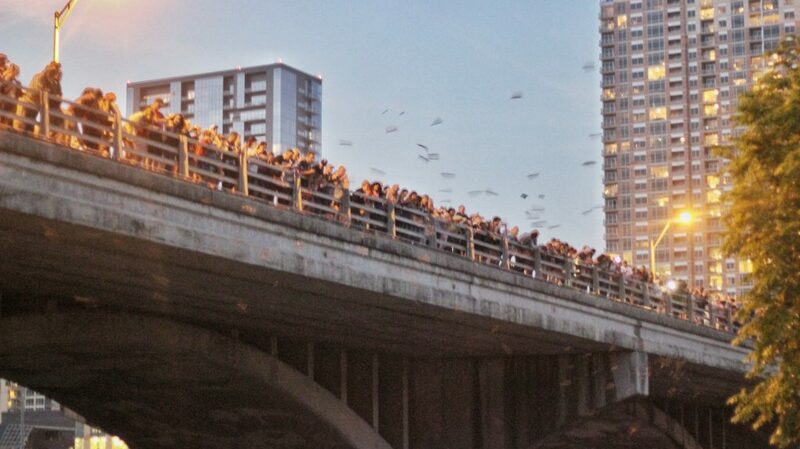 At dusk every night bats emerge from the congress street bridge. We drove up to a little parking lot we found on the south side and walked over to the shore line. There was still a little bit of light and we saw the bats started to emerge and in my opinion this is the best time to see them. As it starts to get later it’s almost too dark to see from underneath. We heard that being on top of the bridge can be quite intense so we were glad we can to the shore to see them instead. I was under the impression it would be the huge rush of bats but it was more like a slow trickle that went on for a very long time. Such a cool experience but after about 5 minutes my young kids were over it. I heard through the grapevine that Hope Outdoor Gallery was halted development that became one of the coolest outdoor art spaces I have ever seen. Bring your walking shoes, the terrain is pretty rough, climbing, walking and jumping. Artists are constantly changing and adding so every time you visit it can be different. Plus the view at the top is pretty spectacular. 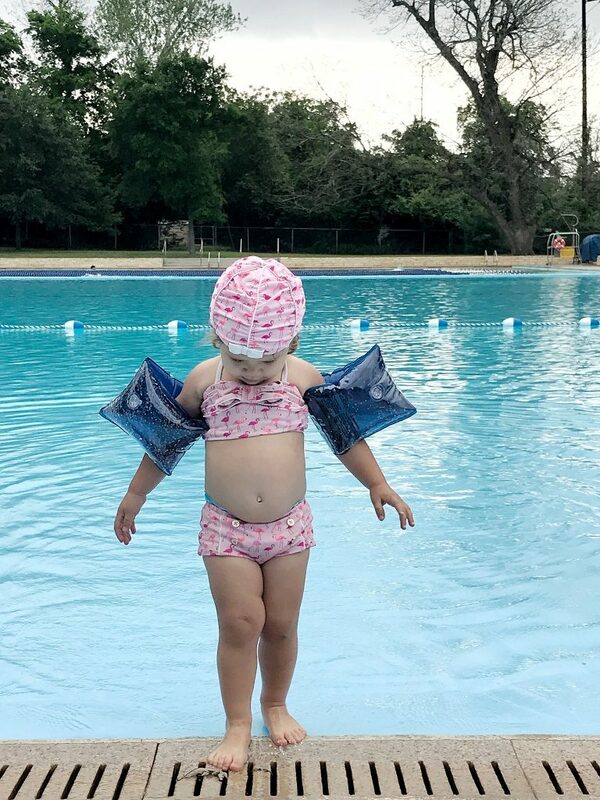 Some of the other pools I mention on this list can be a little tricky and sometimes dangerous for really little ones. That is why we loved Deep Eddy. It’s a huge pool right next to Lady Bird Lake. We loved that it was zero entry. There is a small fee but still worth it in our opinion, especially if you need to cool off on a hot day. Barton Springs is pretty spectacular. 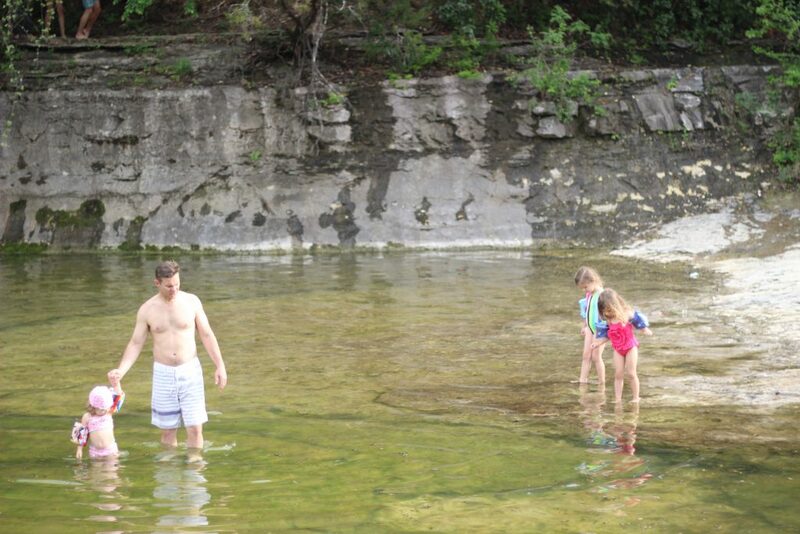 It’s a spring fed, natural pool that is unlike anything I have ever seen. I will say it’s not the most ideal for little ones. There are a lot of rocks and the floor of the pool can be slippery (it’s not cement, like I said its natural and there are rocks with algae that make it pretty tricky to walk across). Ok so now that ive put that disclaimer out there I want to say that it was still worth the visit. It is such a beautiful piece of nature and the girls had a great time! 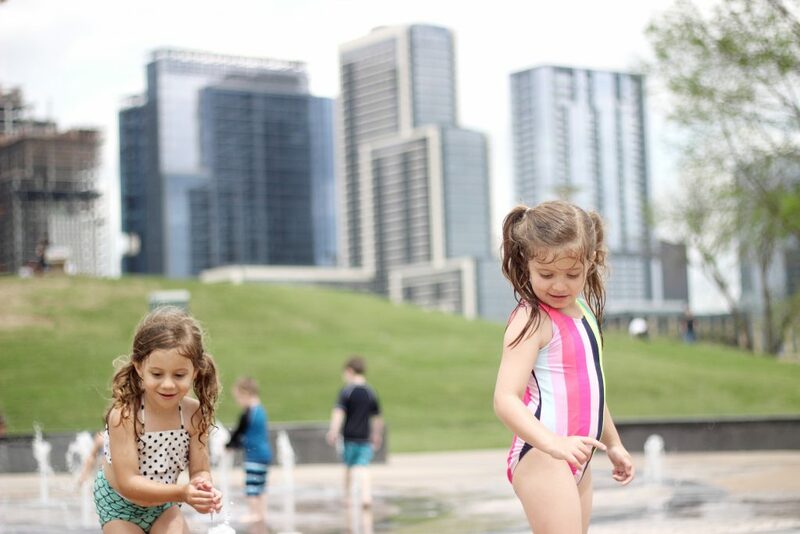 Zilker Park has lots to do for kids. There is a fairy garden in the summer and a fun train ride that goes around the property. The playground there is pretty nice too, and we all know that visiting Austin with kids requires at least one playground stop. 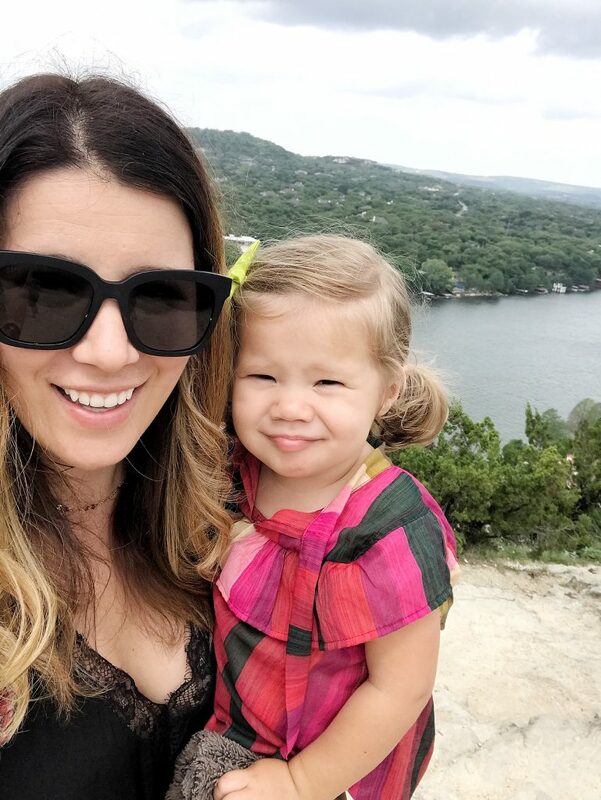 we made the 105 stair hike up to Mount Bonnell to see the site of all sites. What a view from the top and the perfect place to stop to have a nice picnic or to go to watch the sunset. Right across there is another small park with some hiking trails and home to some really beautiful peacocks. 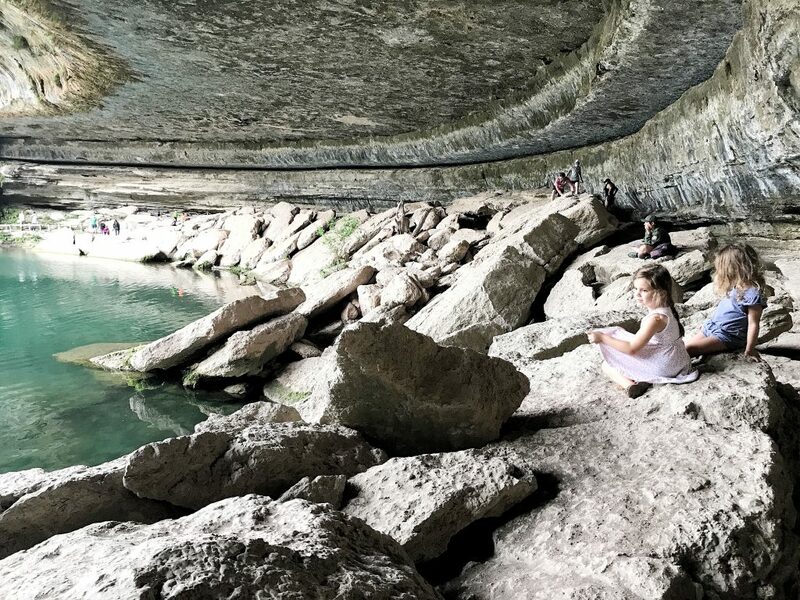 There is so much to say that there is no way I can include all of it in this one post (detailed post coming soon) but if you are heading to Austin, Hamilton Pool is a must. A couple of things to note. You need a reservation and you can easily do that )with a small fee) on the website. It’s a .25 mile hike, it wasnt too bad for my 3 year old and 5 year old but we put my 2 year old in the baby carrier. The water is pretty cold and they don’t always allow swimming. Make sure you call ahead to find out. Neon signs and some the coolest street art. 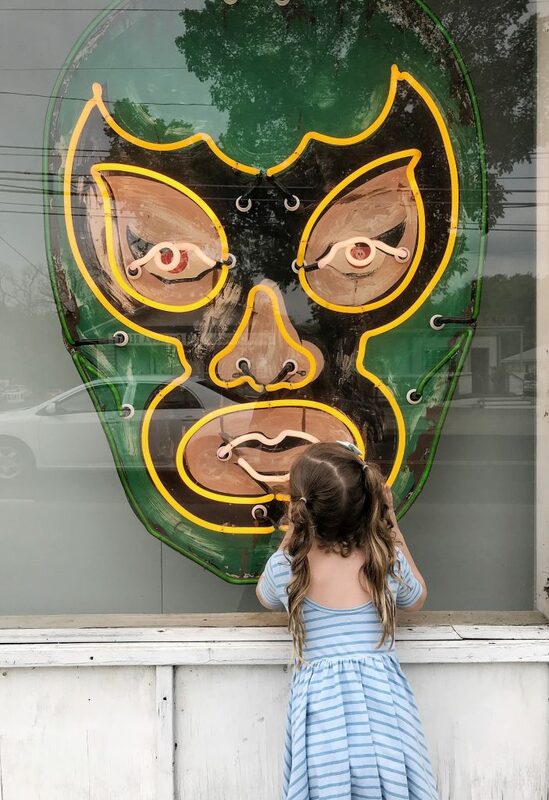 This place doesn’t have set hours so we didnt get a chance to peek inside but from what I saw from the windows there are some cool Austin relics that you will definitely want to check out. 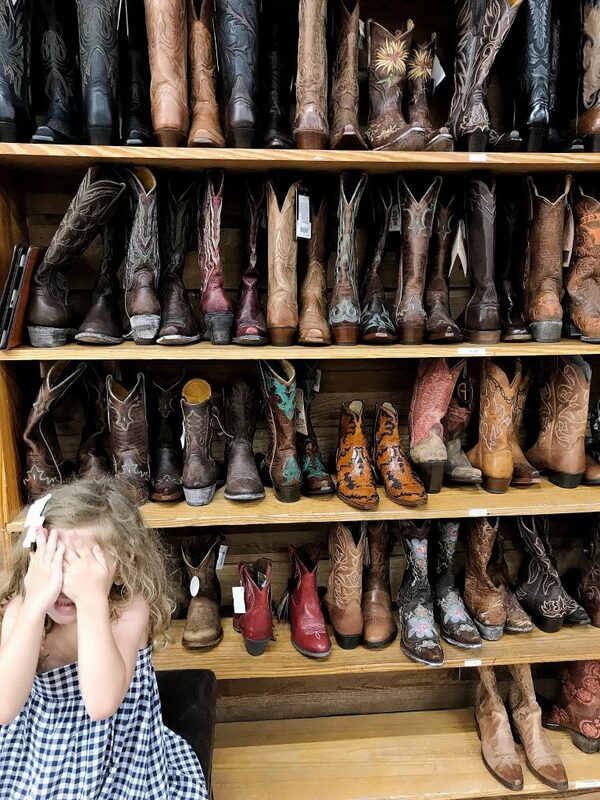 Everything from cowboy boots to dinosaur planters, this street was one of the quirkiest shopping streets I have ever been to. If you are looking for a cool souvenir, this is your spot. Be prepared to see some really fun and unique it has you won’t find anywhere else. 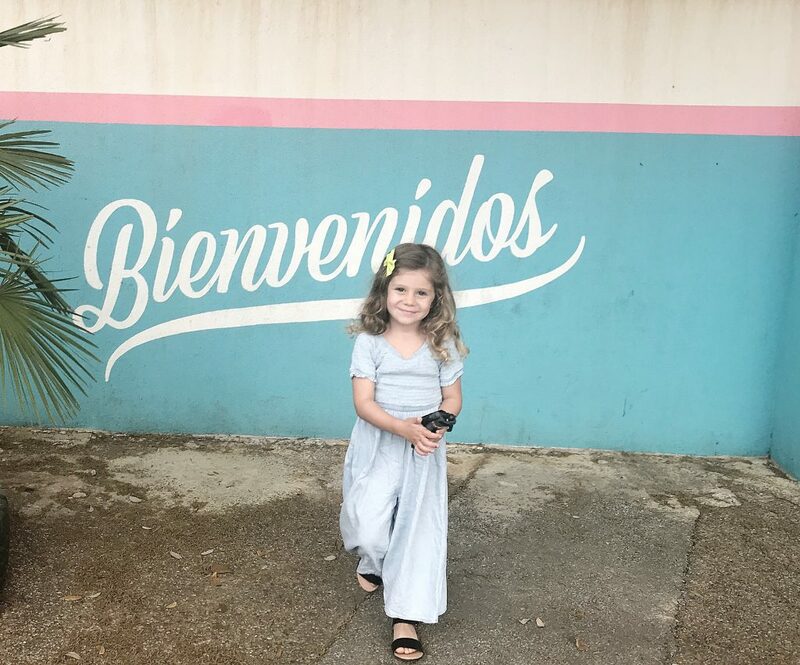 One of our favorite things to find around the streets of Austin with kids were murals and there are no shortage of them. 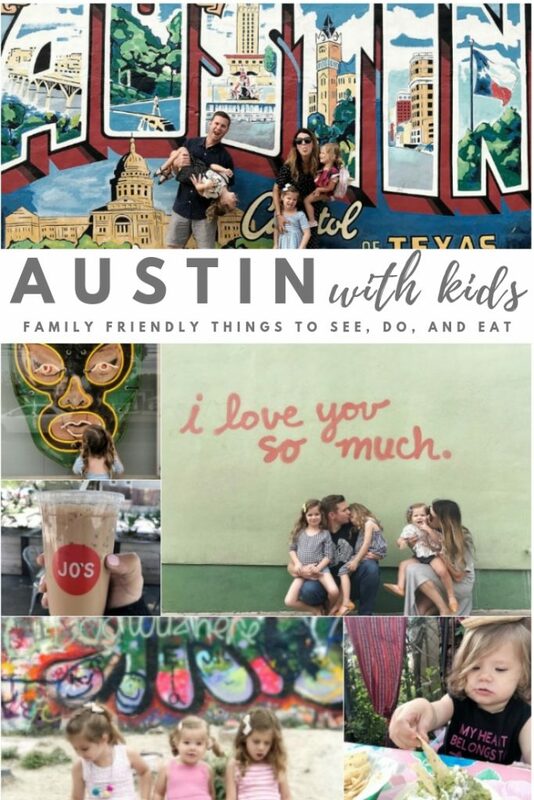 Make sure to visit my Austin Mural Guide to see where you can find all of our favorites. I hope this gives you a small glimpse into our amazing Austin trip. We really had the best time in this Texas city and know we will be talking about this trip for years to come. If you have been to Austin or live in Austin I would love to hear some of your favorite spots. Leave them in the comments below.